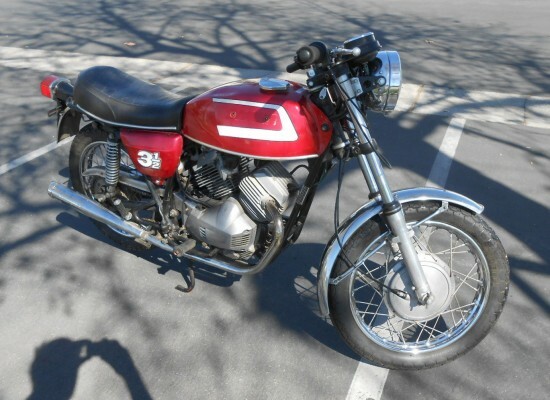 Still the bargain of the vintage Italian biking scene, today’s Moto Morini 3½ Strada needs a bit of cosmetic work, but the price is in the ballpark and is said to run very nicely. With just 344cc’s and two valves per cylinder, you’ll need to make the most of the bike’s prodigious handling capabilities to keep up with bigger bikes on back roads but, like the RD400, these were famous giant-slayers in their day. 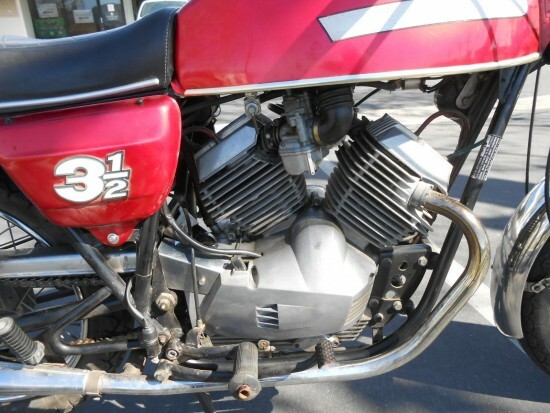 The unconventional 72º v-twin was more compact than a 90º engine, and the smaller displacement meant that vibrations weren’t noticably increased. 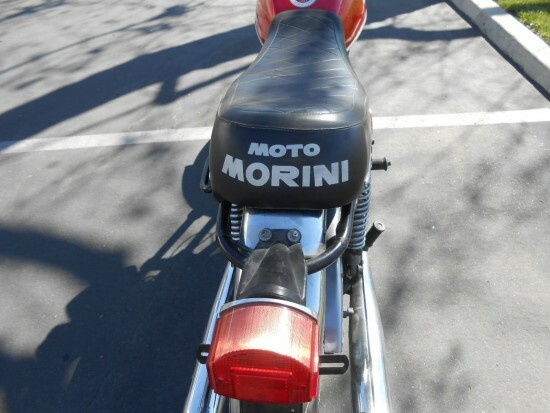 And while many machines still made do with a four-speed gearbox, the Morini’s six-speed part made sure riders could get the most from the bike’s 35-ish horses. The engine used pushrods to operate its valves, but the camshaft was driven by a toothed rubber belt, and the heads themselves were “Heron”-style, reducing manufacturing costs while allowing nearly 60mpg. The bike came in two flavors: “Strada” and “Sport,” with the Sport being the sportier of the pair. The Strada came equipped with lower pegs and higher bars and a slightly lower state of tune for the engine. Period reviews found very little to complain about, other than the performance-per-dollar when compared to Japanese four-cylinder machines. 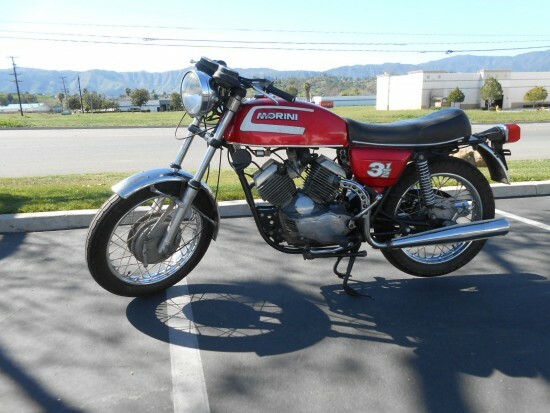 But the Morini had vastly superior handling and that difficult to quantify Italian style that made it worth the cost then, and a complete bargain now. The bike has been in storage for many years (at least 15 years) There is a workshop manual with the bike, there are some original tools. the timing belt was just replaced and there is another new belt and the puller for the flywheel needed to replace the belt, with the bike. It has a new rear chain. I went through the fuel system. 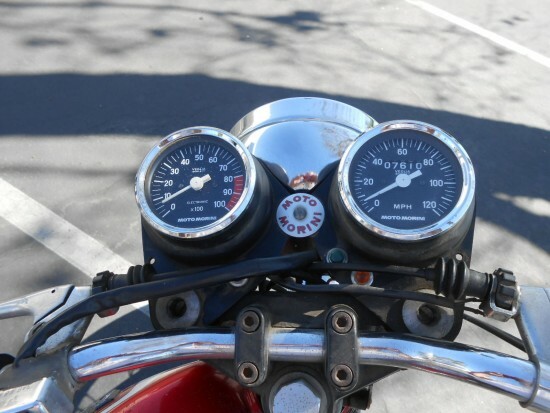 The bike runs beautifully, it has a 6 speed gearbox. electrical system is good, system charges, Lights all work. new battery. the tires are very old. The $3,450 Buy It Now price seems smack in the middle for Morinis right now. 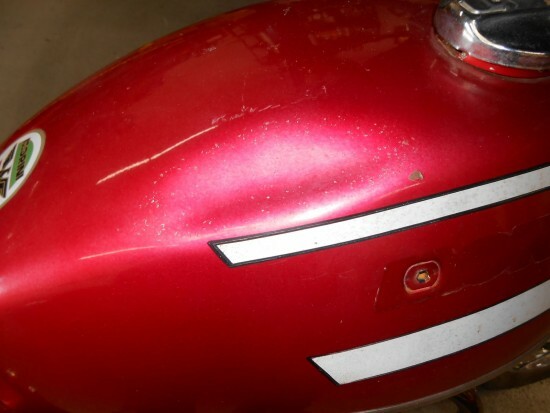 This one has some cosmetic imperfections, including the missing tank badge on one side and the dent along the top, but with such low miles and in running condition, it looks like this will just need a basic tune up and a new set of tires to be ready to go! 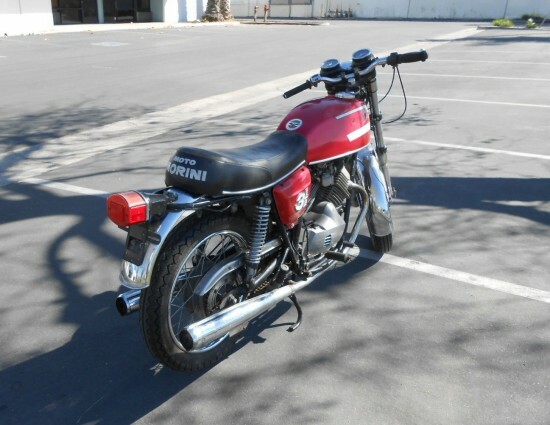 These are uncommon motorcycles that provide a ton of bang for your buck, so if you’re a fan of Italian twins but your budget won’t stretch to a vintage Ducati, grab one of these unintimidating little machines and get ready for the spring riding season! This has been on ebay 2 or 3 times now with a high bid of about $2,500. I talked with the seller a couple of times, he seems to be pretty knowledgeable about old bikes, more so British bikes. I must be missing something but for some reason this bike just isn’t getting any love from ebay bidders.